Valpolicella is a ruby red wine. The grapes used to produce belong to the variety of Corvina, in high quantities. The percentage is around the 95% as it is considered almost pure. The grape has a thick peel that goes from blue to black. Other allowed grape varieties are Rondinella and Molinara. The territory here is rich in water and mild climate as it is influenced by the close Lake Garda. Valpantena and Classica are the other two areas there Valpolicella is produced. 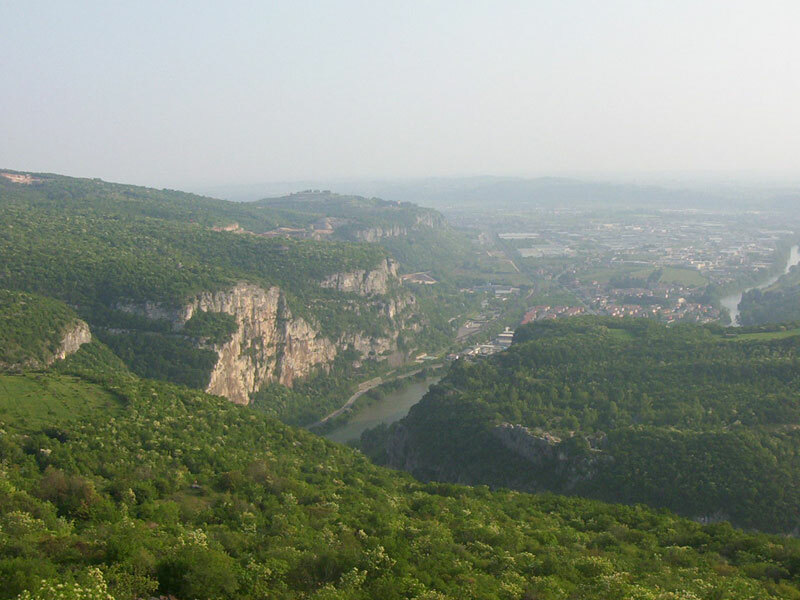 The area “classica” encloses the municipality in the north of Verona. The types allowed for the production of Valpolicella wine are four: Valpantena, Classico, Ripasso and Superiore. The Classico one is produced in the historical area. Superiore refers to the wine that has an alcoholic volume above the 12% and at least a year of refining in the barrel starting from the 1st January after the grape harvest. Ripasso is a wine that have been subjected to maceration on the pomace that come from the vinification of Amarone. Amarone della Valpolicella experiences a particular vinification process. The grapes after the grape harvest wither until February. The wine has to be aged for a minimum of two years starting from the 1st January after the grape harvest. Valpolicella Route twists and turns through a territory rich in naturalistic oasis and historical finds. The abundance of water allow a flourishing nature that make the landscape rich and variegate. The view is continuously in contact with the nature. Here and there there are ancient proofs of the past, from the prehistory till today. Fossils and paintings, in fact, show that this has always been a land where the human being has found its suitable place to settle down. The itinerary of Valpolicella Route encloses the cities of Dolcè, Sant’Ambrogio, San Giorgio, Fumane, Molina, Marano and Negrar. The tour starts from the Chiusa di Ceraino and finish in Montecchio, a fraction of Negrar. Villa del bene in Dolcè is an priceless artistic site thanks to the frescoes that can be admired here. Sant’Ambrogio is a famous town both for its wine and its marble of its quarries. The vineyard take advantage of the great conditions of soil and weather. The marble is called Rosso di Verona (Red of Verona) and it is famous all over the world. In Negrar it is possible to visit Villa Mosconi Bertani lavishly frescoed and enriched by a giant vineyard. 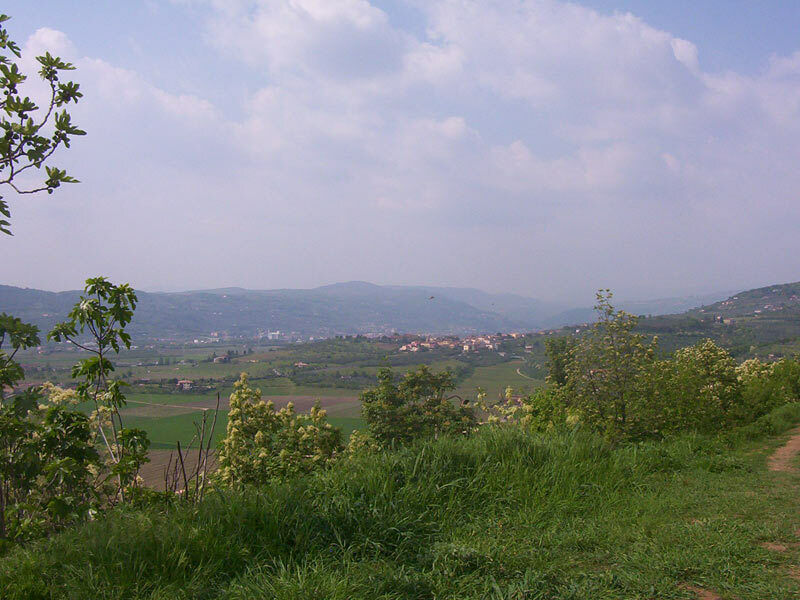 The second itinerary of Valpolicella Route starts from Negrar and it finishes in San Mauro di saline. Entering the Valpantena, you will reach Monti Lessini a place which view goes till the horizon. During the journey there are numerous Venetian villas, designed by famous artists. In Grezzana, in fact, there are Villa Arvedi and Villa Bevilacqua. It is interesting to visit the wildlife park where there are lots of animal spices in the wild like mouflon, boar, porcupine, fox, wolfs and many more. Forte Viola is pretty characteristic, with a pincer shape and eight cannons as defeat. In San Mauro there is the church dedicated to the saint and the Miracle spring that seems to be connected to its miracle. The third itinerary goest towards east, almost in the border. Vineyards, cherry trees and olive trees are intensely cultivate. There are many places of interest: churches and villas for instance. In Tregnago there is the castle which peculiarity is to have a fresco of ‘300 over the main door, with the Virgin. The church of Assunta preserves a beautiful baptistery made of red marble. There are interesting wash houses spread around the city: some squared buildings with a basin in the middle where the women went to wash their clothes. In Montecchia di Crosara there is the Chiesa del Salvatore made on the ruins of a pagan temple.